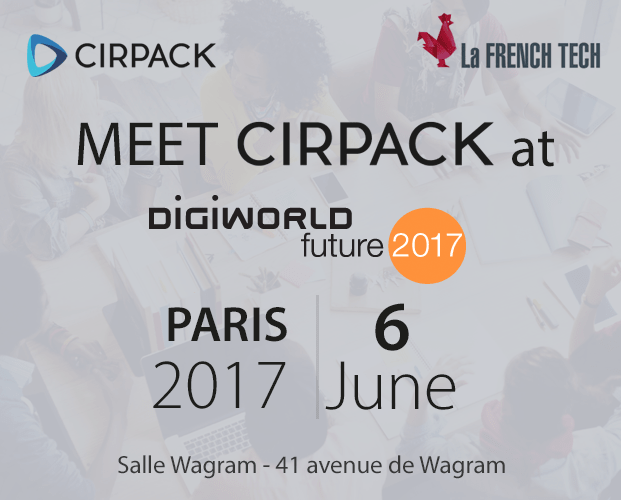 On June, 6th 2017, Cirpack will exhibit at DigiWorld Future organized by IDATE in Paris, France. DigiWorld Future is a conference about the perspectives and key trends of the digital economy. It is organized by IDATE, one of the main European institutes for digital economy, expecially specialized in the telecom and Internet markets.